Also featured in Dig Different. 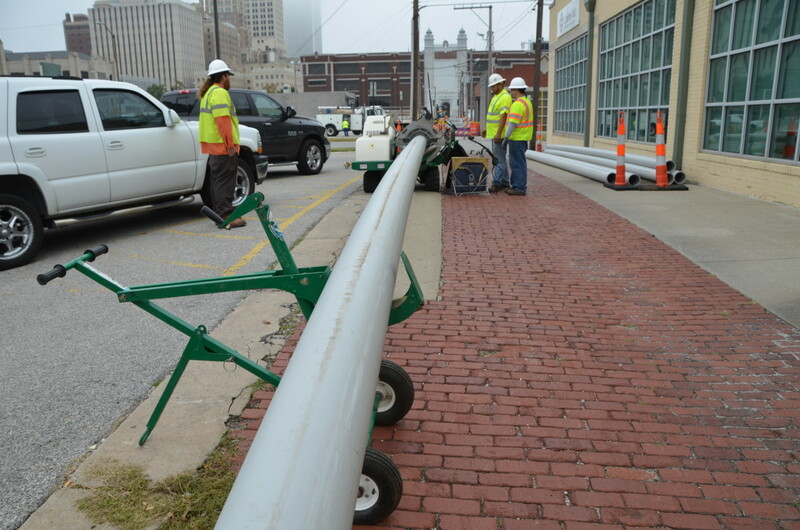 Problem: Underground leakage from a faulty 6” clay pipeline — estimated to be 100 years old — was causing sinkholes to form on one of Downtown Tulsa’s original brick-lined alleyways. The city was forced to close the alley which blocked public access and the only access nearby workers had to their company’s parking lot. The need to rehabilitate the street was urgent. 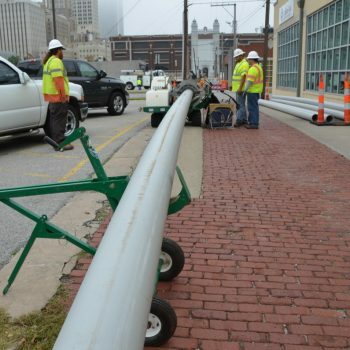 Solution: The city’s Sewer Operations & Maintenance crew replaced the 6” clay pipe with 8” high-density polyethylene pipe which is joined through heat fusion technology to create a seamless, leak-free system. 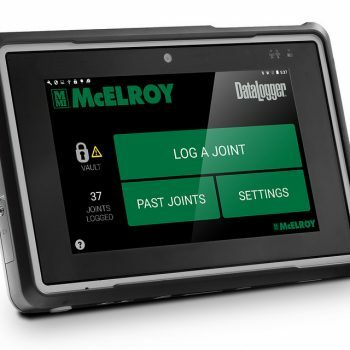 They used their in-house pipe fusion machine — a McElroy TracStar® 500 — to fuse the pipe together. 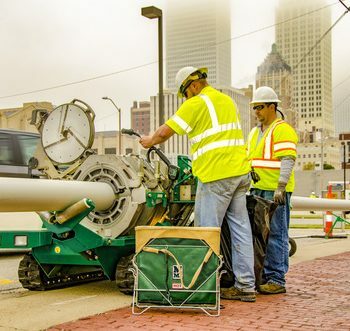 For the install, they rented pneumatic pipe bursting equipment from TT Technologies to break up the old pipe to make way for 337 feet of fused pipe which was pulled in place with a HammerHead constant tension cable winch. 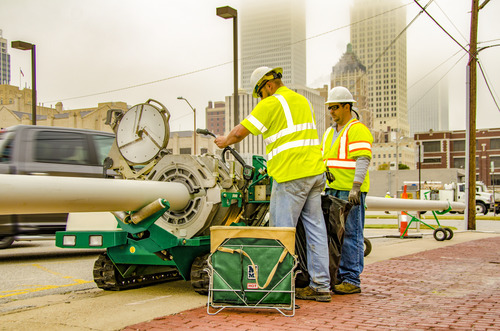 This trenchless method allowed them to pull the pipe from manhole to manhole in a short amount of time without having to tear up a major street which would have further disrupted traffic. 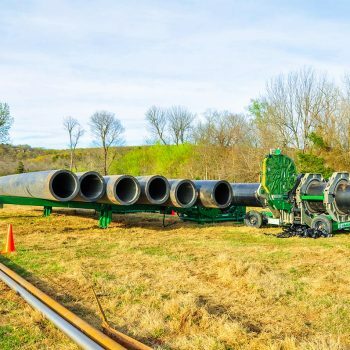 Result: Bringing outdated infrastructure into the 21st century with a modern HDPE pipeline has been a cost-saving measure that benefits the environment and creates much safer driving conditions.